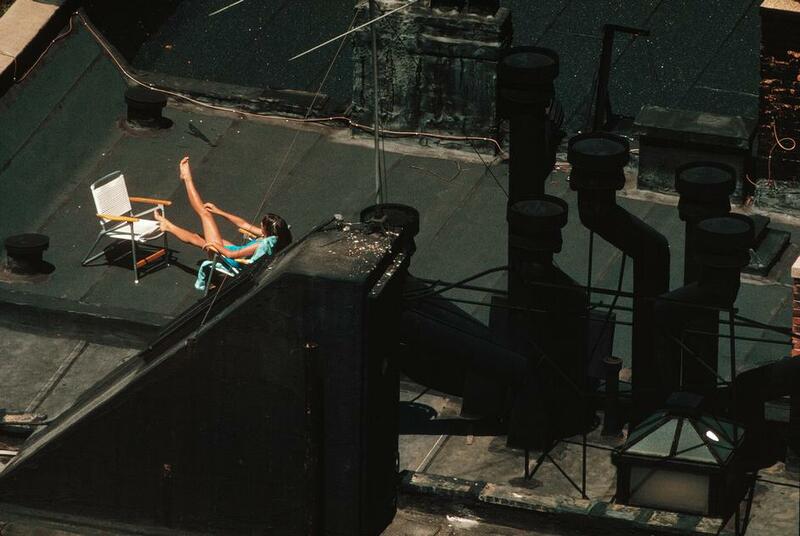 Lying out to work on your tan just isn’t fashionable anymore. But sunbathers glistening with baby oil were once a ubiquitous summer sight on the city’s tar beaches. Tar beaches? That was the nickname New Yorkers gave the tarry black tenement or apartment house rooftop. 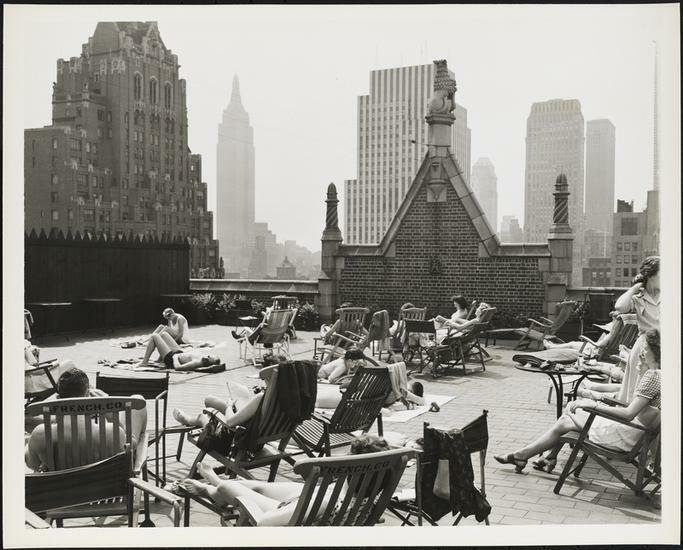 Tenants would drag up a chair or blanket, maybe a book, radio or Walkman, and a cold drink, then pick a spot in the sun and happily bake themselves while taking a break from the crowds and noise many stories below. Up on a usually empty roof, there was the illusion of privacy. Of course anyone living above you could see you. But in an era before smartphone cameras and social media, it hardly mattered if curious neighbors stared. 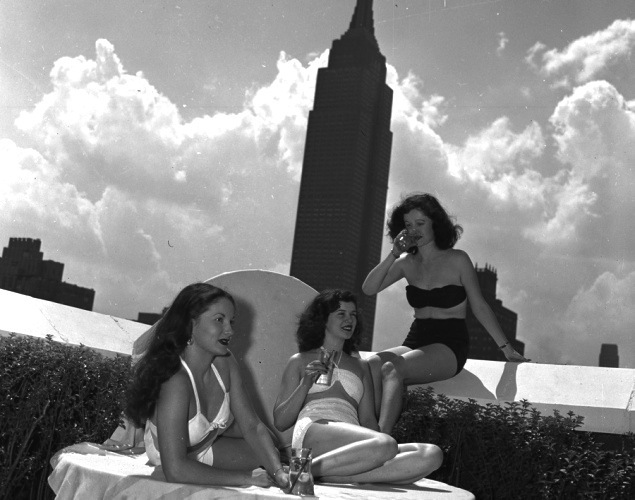 “As long as there have been sun worshipers in search of the perfect tan in the city, there has been the tar beach,” stated a New York Times article from 2007, mourning the passing of rooftop sunbathing as a popular alternative to a day at the shore. It’s a summer day pastime with fewer and fewer fans. 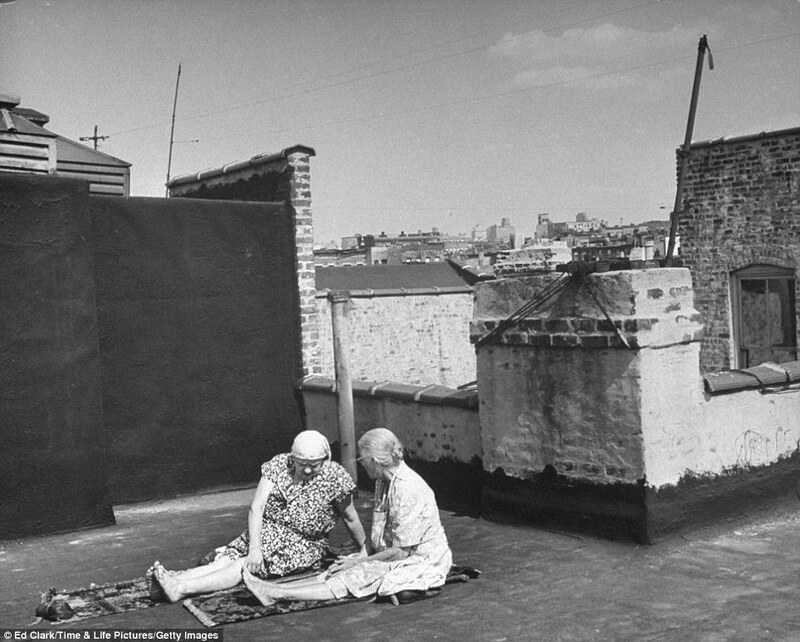 Maybe roofs are barred because landlords don’t want to be liable for an accident, or perhaps New Yorkers have more cash these days to enjoy the sun on vacation out of the city. “This time-honored summer escape is a diminished, perhaps even dying habit. This has been noted by those who have a bird’s-eye access to the city: helicopter pilots, water tank repairmen and occupants of tall buildings in otherwise low-lying neighborhoods,” concluded the Times.